You can buy Real Estate in San Carlos, Mexico. Listings for homes, condos, lots and San Carlos MLS. Tips to live in beautiful and affordable San Carlos! Why live in Mazatlan, Puerto Vallarta, Cabo San Lucas or Cancun, when you can live in beautiful San Carlos, with a view of the pure water of the Sea of Cortez and be only one gas tank from the U.S. Border (Arizona). Join the thousands of Americans and Canadians who live full-time or who enjoy a second-home in San Carlos. Buying a Home in San Carlos, Sonora, Mexico: If you are looking for information on real estate in San Carlos Mexico, contact one of the many licensed Realtors listed below. They’ll be happy to show you around and give advice on such things as location and building on a lot versus buying a built house. Seaside Realty your San Carlos, Sonora Mexico Real Estate Connection. 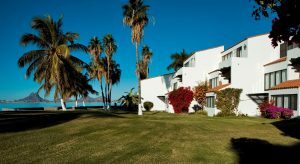 We have many Real Estate listings for Condos, Homes, Lots and Commercial Properties that will meet your every need in all areas of San Carlos, Sonora Mexico, Luxury living or simple living we have it all. View Listing and view listings on a map. We can help you with all real estate listings in the San Carlos MLS. Our professional licensed AMPI agents will be happy to help you make a smooth transition when buying or selling your retirement or vacation home in San Carlos, Mexico. Meet our licensed AMPI agents. Headed by brokers Tom and Diane Barroll, RE/MAX is known in the community and abroad for their professionalism, integrity, and tenacity in real estate. Their hard working team of legal professionals and licensed agents help ensure timeliness, ethics, and transparency in all transactions. Every type of accommodation and property can be found in San Carlos. Our licensed agents are always ready to assist you with your search. There are many different parts of town with their unique qualities and locations, and we can help you find the property that best fits your needs. Our property listings are numerous and well priced with clear title work. Our agents freely show other area listings along with our own. Check out our listing for houses, condominiums, developed lots, raw land, and other real estate listings. We have many beachfront houses, beach houses, waterfront houses, and waterfront homes in various beachfront communities. Buying or selling a home in a Mexico can feel overwhelming, choosing the right real estate company can be one of the most important decisions you can make. Condominios Pilar in San Carlos, Sonora, Mexico is one of the absolute most beautiful and “mature” condo complexes on the entire Sea of Cortez! It has historically been HOA maintained to the utmost of pristine standards! The 5.5 miles of undeveloped white sandy beach in front of Pilar is incomparable to any other area condos, as are the magnificent sunsets! Pilar is located just 255 miles South of the Nogales, Arizona border on a newly constructed 4-lane divided highway, making access from the USA very safe and quick! Pilar’s pool, tennis court, beach shelling and clam digging only add to the world-class deep sea fishing, snorkeling, and scuba diving opportunities, along with Pilar’s fabulous on-site restaurant and bar. Pilar truly is unequivocally your “hidden vacation paradise” for the rest of your life, and that of your family. Won’t you join us in our newly available inventory of multi-sized units in various fractional interest ownership months! Please contact Emilia Cota Gocobachi of Sonoran Sun Realty at 622-125-0685 (cell). San Carlos Country Club: Situated within the first 9 holes of San Carlos’ premier 18 hole golf course community, the San Carlos Country Club is located off Manlio Fabio Beltrones Blvd. 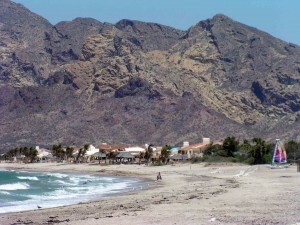 Loma del Mar: a unique experience in casual living … surrounded by beautiful desert and colorful mountain scenery. Costa del Mar: situated along the Algodones Beach. Currently, foreigners who wish to acquire lands situated within 50 kilometers (31 miles) of Mexico’s coast must do so indirectly through trusts administered by a Mexican bank, or, in limited circumstances, through a Mexican corporation. This does not impede foreigners from owning land in the coastal zone. It only imposes procedures that make the purchase a little more costly and requires more paperwork. But don’t let this stop you from investing in Mexico and owning your own piece of beach front paradise. International investors who are looking for cost-effective alternatives to the high cost of housing in their local markets would do well to look to Mexico. Have you been visiting San Carlos for years? Perhaps you are here for the first time and have fallen in love with our beautiful landscape, active lifestyle, affordable living and wish to call San Carlos home. Purchasing real estate in Mexico is safe and easy. By working with a licensed agent that has access to the MLS you will have a wide variety of beautiful properties to choose from. Once you find that special place, the offer process is very similar to purchasing in the US. First, you and your agent will complete a Purchase Offer and Contract. Contracts in Mexico must be in Spanish to have legality in the court system. However, there is an English translation for Americans and Canadians. Offers to purchase should include an earnest deposit to show good faith. There is no escrow in Mexico so your check will be held by the broker and applied to the purchase once an offer has been accepted. Also, properties here are sold ‘as is’ so any repairs or replacements must be specified in the contract. Homes and condos are usually sold furnished but it is good to specify this as well. Once you and the seller have an agreement to purchase, closing can be as quick as two weeks. Closing costs on your new purchase will be about 5 – 6% of the purchase price. The general breakdown is 2% for Notary fees, 2% for transfer tax to the Mexican Government and 2% for appraisal, no lien certification, catastro value and recording to the public registry. These fees are applicable to both foreigners and Mexican Nationals. Foreigners are responsible to pay for their initial bank trust, which is approximately $3,000 USD. Other annual expenses will include trust fees of around $400 – $600 USD (depending on the bank), HOA (if applicable) and property taxes. The cost of living is lower than living in the US and Canada and our beauty, views, weather and community can’t be beat. Real estate prices are lower than they have been in years and many sellers are offering financing with low interest so now is a great time to invest in San Carlos. Be sure to visit your friendly real estate agent today and see how easy and affordable it is to have your dream by the sea. Click here for a list of San Carlos Mexico Real Estate Developments.